Say hello to spring with these bright and cheery color combinations! 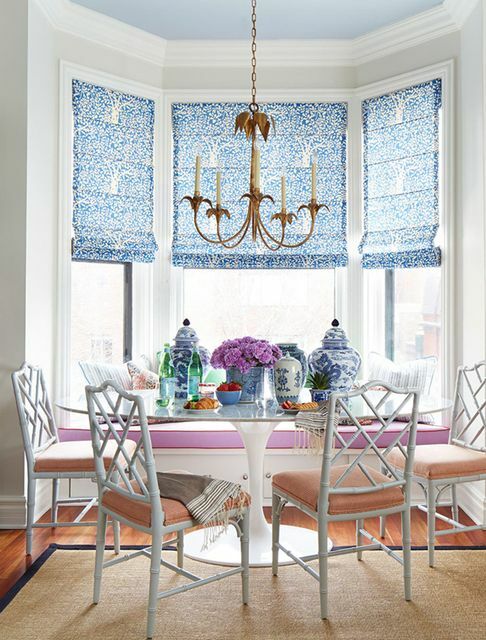 Blue is a popular color year-round, but adding a few touches of purple can create the ultimate spring look. 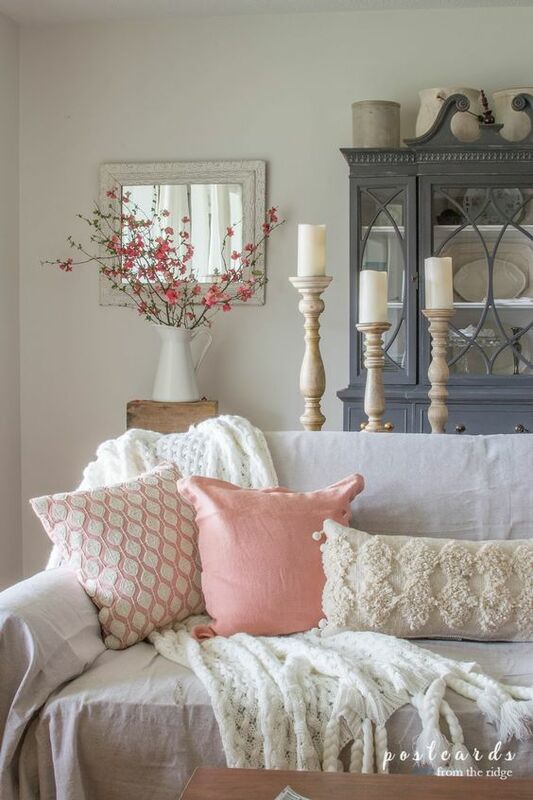 Pink is another quick color you can add to your already-existing neutral décor to make the room feel feminine and fresh! 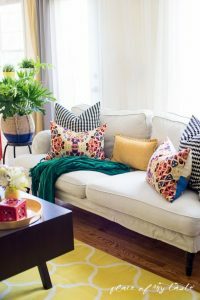 Bright yellows & greens are perfect for making your home feel like a fresh space. 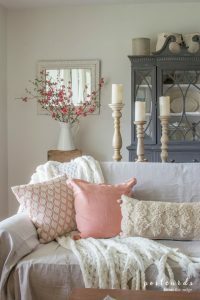 We love tying them in with a colorful pillow that can be used year-round. 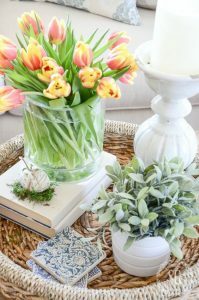 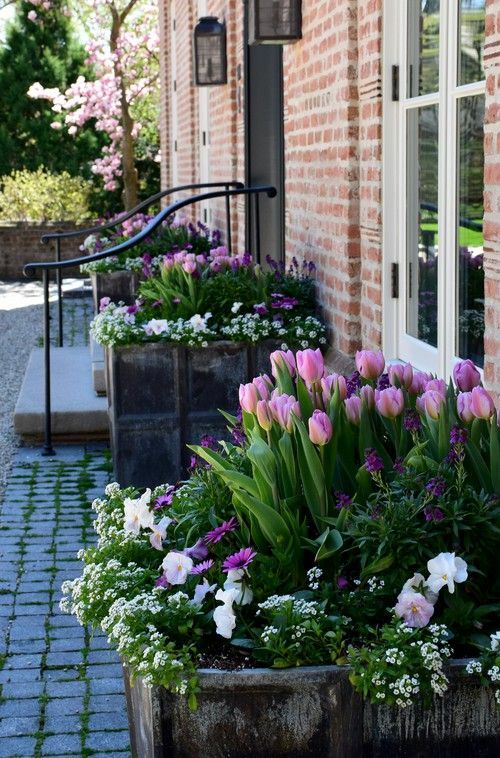 If you don’t want to spend much but still want a fresh look for spring, add seasonal flowers and other small decorations around your home. These bright tulips are the perfect touch! Adding some seasonal plants to your flowerbeds outside your home is the perfect way to welcome the new season!